Anil Sanjeewa, who is said to be an eye witness of the incident in which Sumith Prasanna was killed during a clash with the police, appealed the IGP to hold an unbiased investigation into the case. Sanjeewa claims that he heard a conversation between several police officers that occurred soon after Sumith Prasanna sustained life-threatening injuries during the clash. “I was in the third floor. In fear of my life, I didn’t open the door of my shop. I heard women screaming and begging for help,” he added. 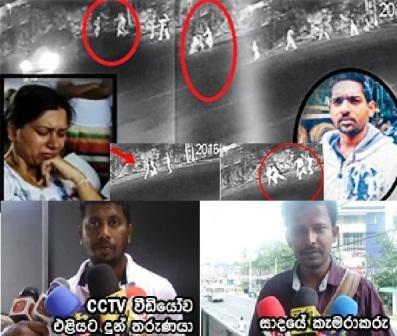 The investigation into the Embilipitiya incident has been handed over to the Criminal Investigations Department (CID), the Inspector General of Police (IGP) N.K. Illangakoon said earlier. The clash involving a group of policemen and several civilians attending a function at a residence resulted in the death of the youth and injuries to several others. The Police Chief stated that the decision was taken based on the instructions of the Attorney General (AG).